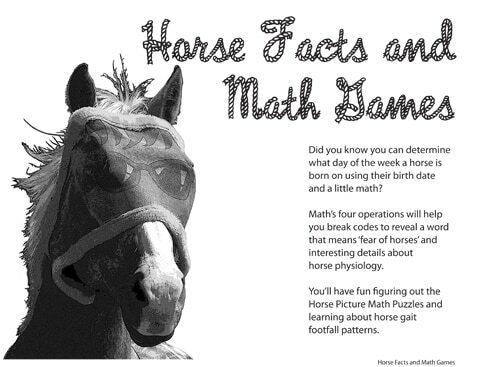 In this section of the Level 2 workbook, kids learn a mathematical method of figuring out on What Day of the Week American Pharoah was born by using his birth date. 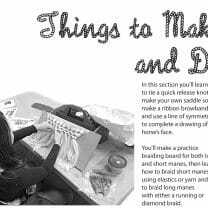 They’ll use their division skills to unlock the code and reveal the word that means ‘fear of horses’. 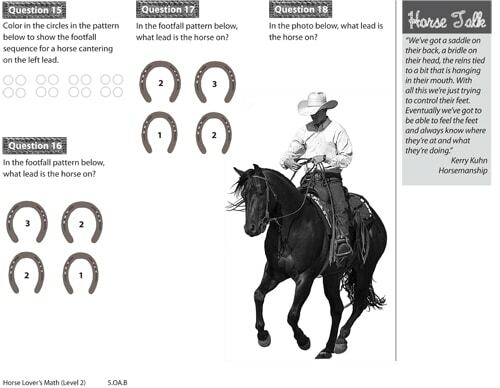 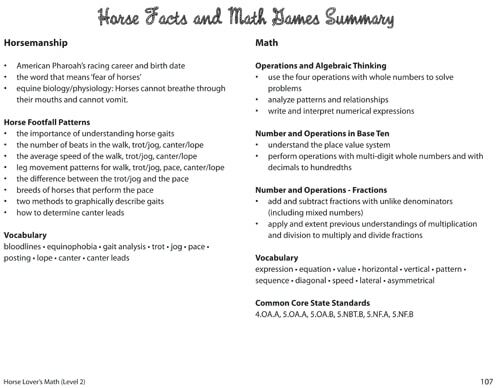 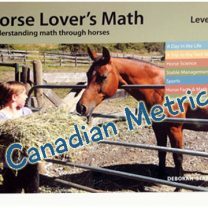 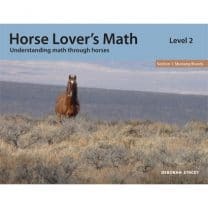 A series of Horse Picture Math Puzzles will test their algebraic thinking and their number and operations skills with whole and mixed numbers. 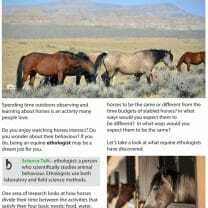 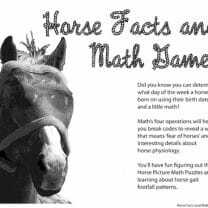 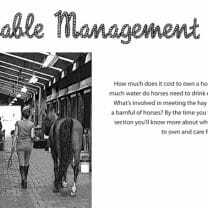 Find a Match will teach them a favourite horse saying and a couple of interesting facts about equine physiology. 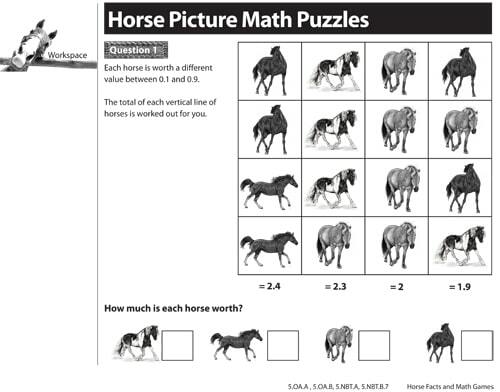 Then it’s on to Horse Gait Footfall Patterns where they’ll learn the footfall sequences for the walk, trot/jog, pace, canter/lope and more!